David Duke: Comparisons To Donald Trump Will Rehabilitate The Image Of Adolf Hitler [VIDEO] - Joe.My.God. “The reason there’s a war on Donald Trump is because there’s a war on the real America, there’s a war on the European-American majority of the United States of America. The media has been the ones inciting hatred and violence. They have portrayed Donald Trump as a vicious racist who basically wants to create a Hitlerian regime; that’s what they present him as, which is, of course, the biggest boogeyman and the most hateful thing these days you can say about something. There’s millions of movies, programs, speeches, invoking — that is like invoking the great Satan in our society and that’s what they invoke of Donald Trump. And whatever you want to say about Donald Trump, there’s no way you can say any of this stuff, it’s crazy, but they say this. “The truth is, by the way, they might be rehabilitating that fellow with the mustache back there in Germany, because I saw a commercial against Donald Trump, a really vicious commercial, comparing what Donald Trump said about preserving America and making America great again to Hitler in Germany preserving Germany and making Germany great again and free again and not beholden to these Communists on one side, politically who were trying to destroy their land and their freedom, and the Jewish capitalists on the other, who were ripping off the nation through the banking system. We have the same thing going on here with Goldman Sachs. It was a commercial, I saw that this morning and I was amazed by that commercial. 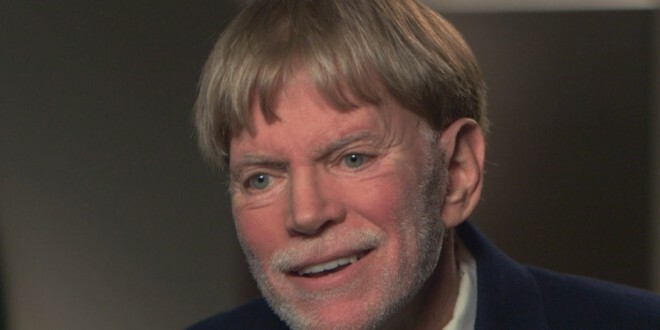 It was a commercial against Trump but I don’t think it’s having the effect that they want it to have.” – Former KKK Grand Wizard David Duke, speaking on his radio show.